In this tutorial, we will see how to install and configure HP-Laserjet-Printer in Fedora 25. 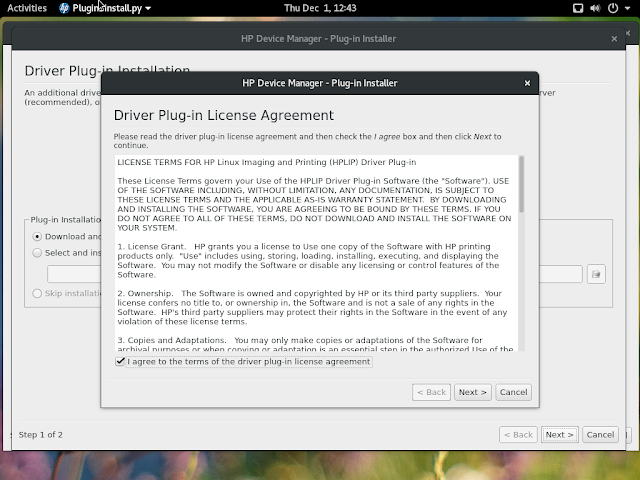 HP has announced its latest driver for Linux. So we will try to install it. 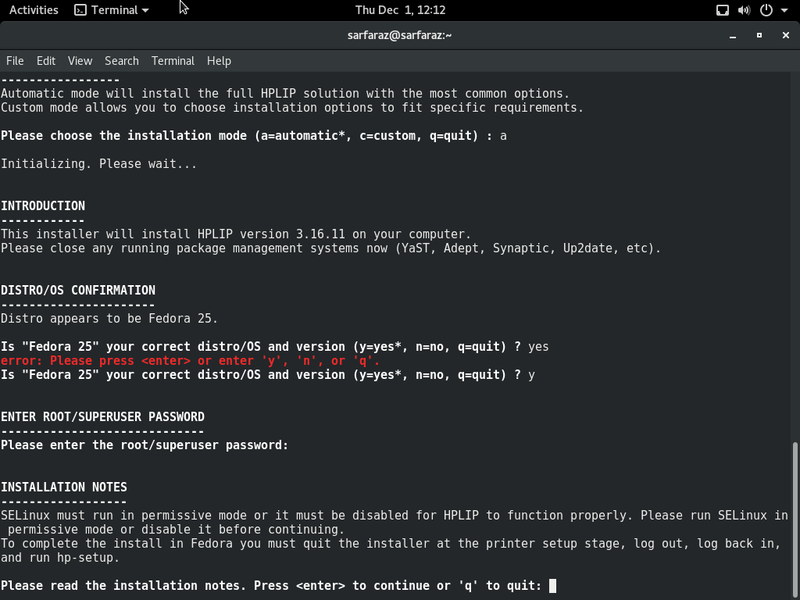 It’s been exactly one month since the previous HPLIP maintenance update, versioned 3.16.10, which introduced support for the Ubuntu 16.10 (Yakkety Yak) and Debian GNU/Linux 8.6 “Jessie” distributions, but HP Linux Imaging and Printing 3.16.11 is here to add support for two recently released distros, namely Fedora 25 and openSUSE Leap 42.2. 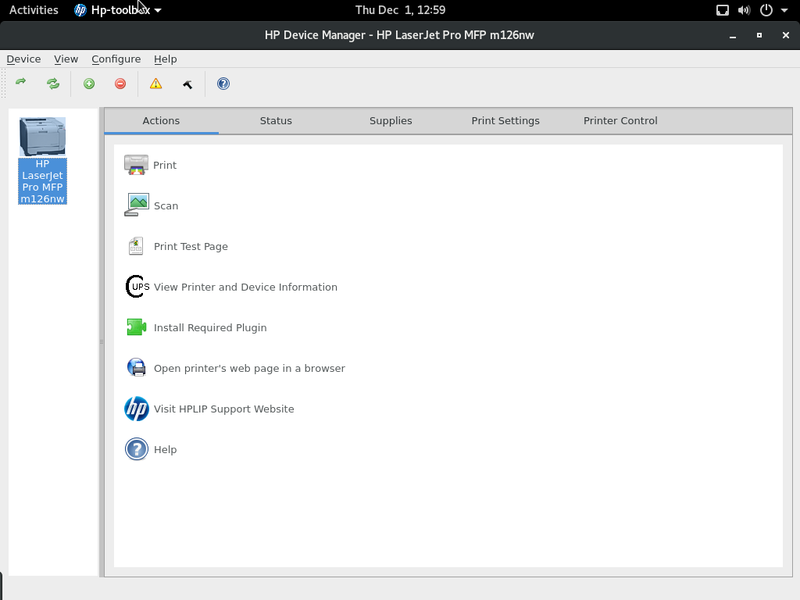 Additionally, it implements support for a bunch of new HP printers, including HP LaserJet M101-M106, HP LaserJet Pro M203-M206, HP LaserJet Pro MFP M227-M231, and HP LaserJet Pro MFP M129-M134. 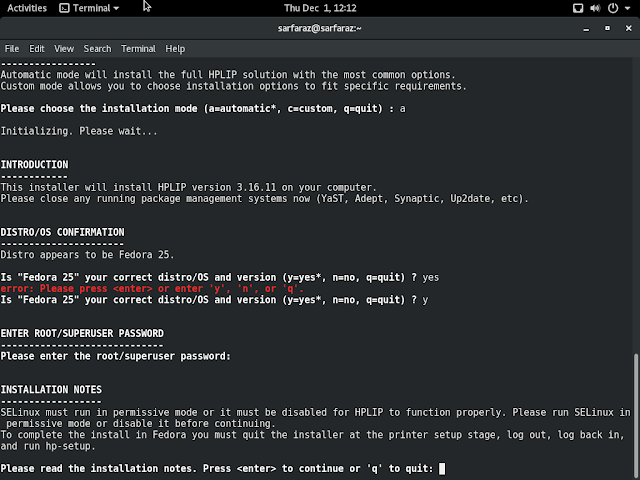 Therefore, if you’re using any of the GNU/Linux distributions or printers mentioned above, we recommend updating to HPLIP 3.16.11 as soon as possible. 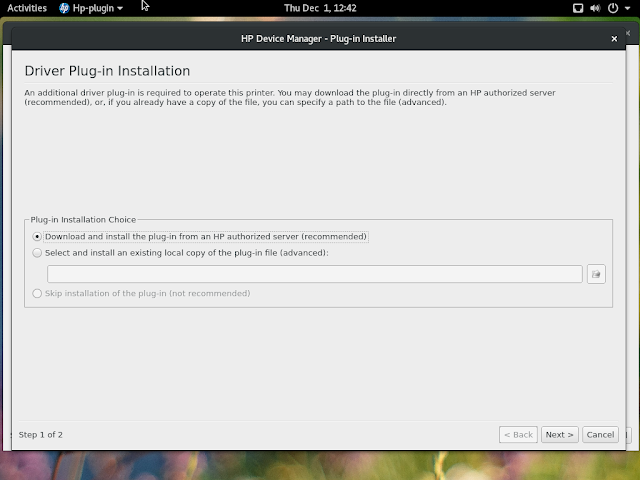 Before we start the installation make your system up to date. 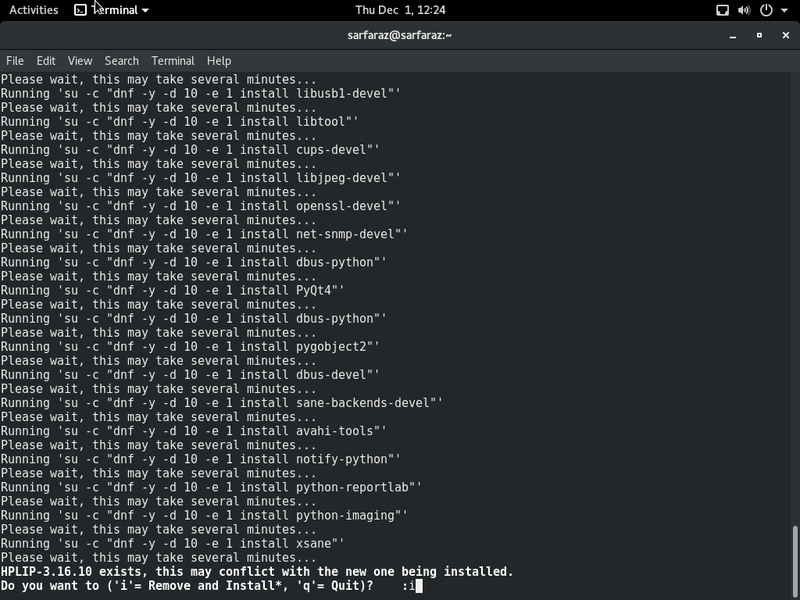 So that there should be no errors. Make sure you are in the directory where you have downloaded. 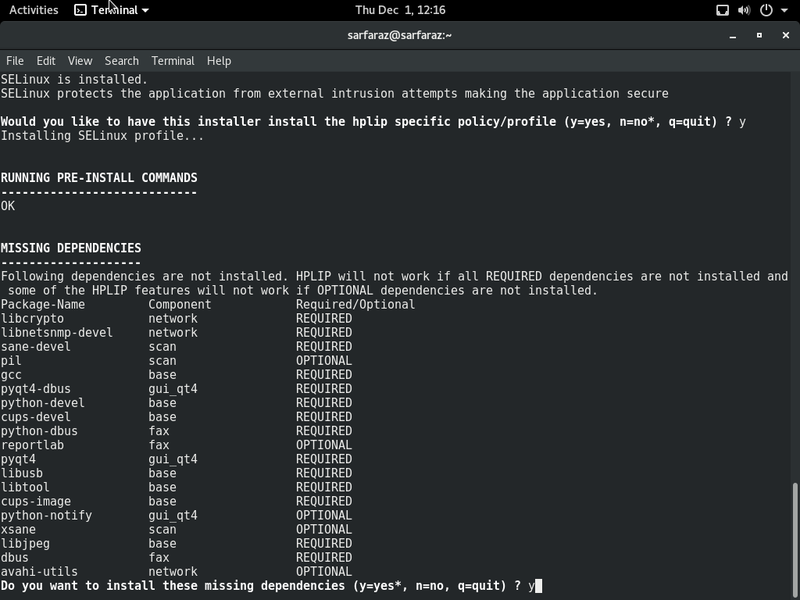 Run from normal user. Now installation will start and ask you to choose the method of installation. Choose “a”. It will ask you to confirm the distro version and enter root password for the installation. 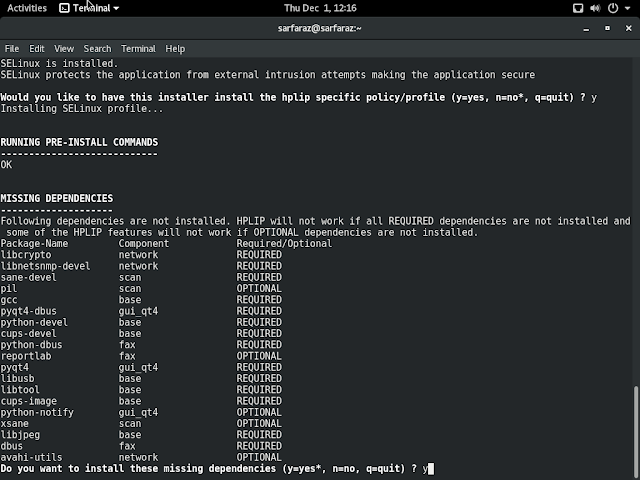 Afterward it will create a selinux profile so say “y” and install the missing dependencies. 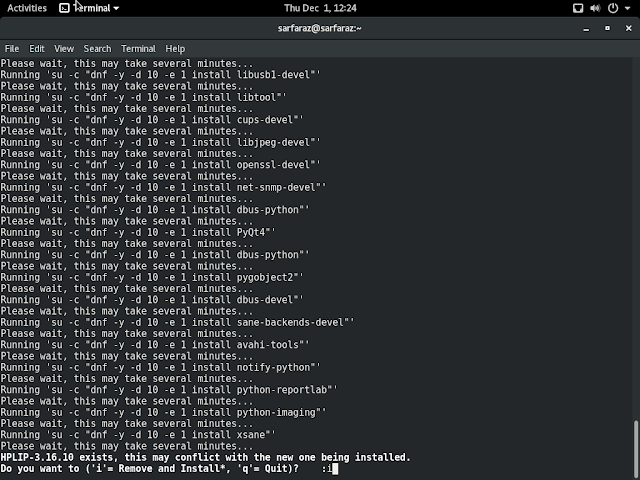 When it shows it is conflicting with previous version comes installed by default with fedora, Then press “i” . 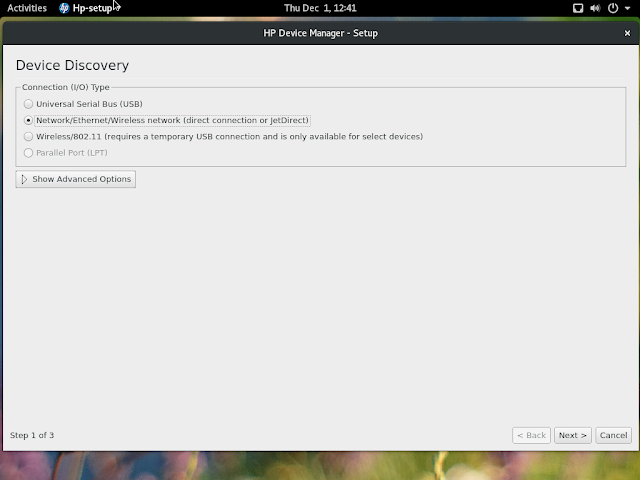 This will remove the previous version and install the latest the driver for your system. 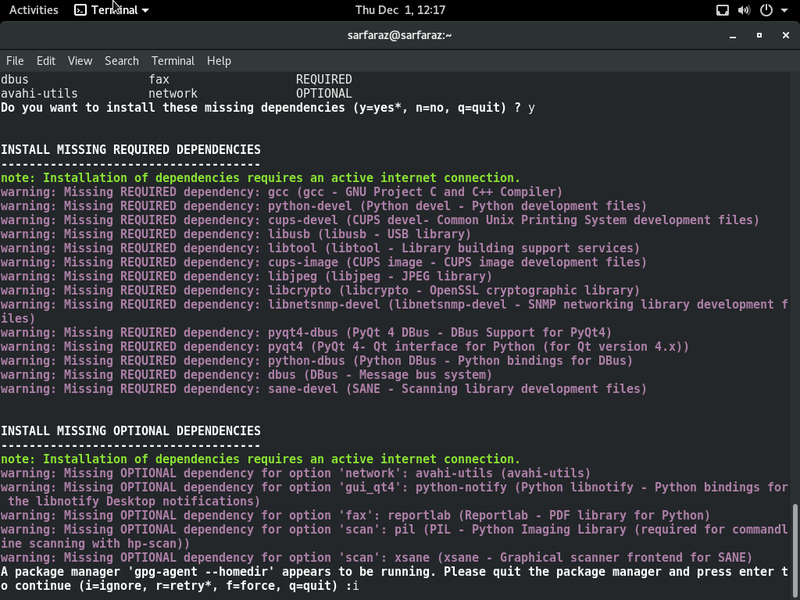 If it shows the package manager running . Then press “i” to ignore it. 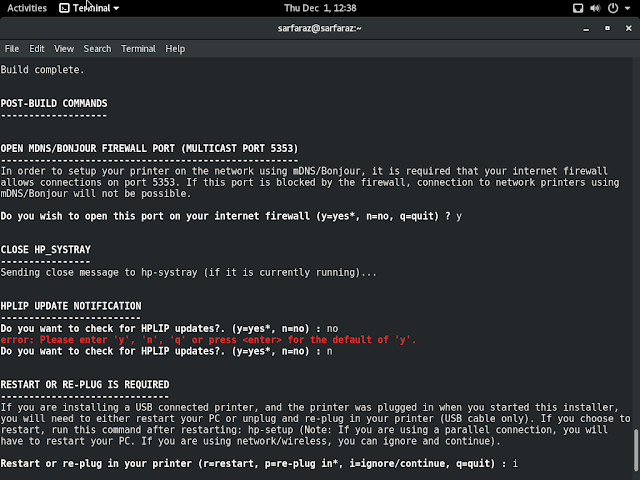 Now it will ask you to open port for the printer on firewalld. Press “y”. 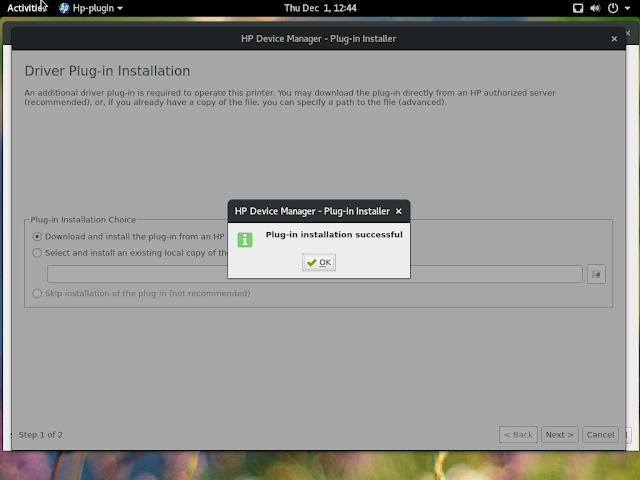 You will have to plug in the printer now or if you are installing it on your network press “i” to ignore and continue. 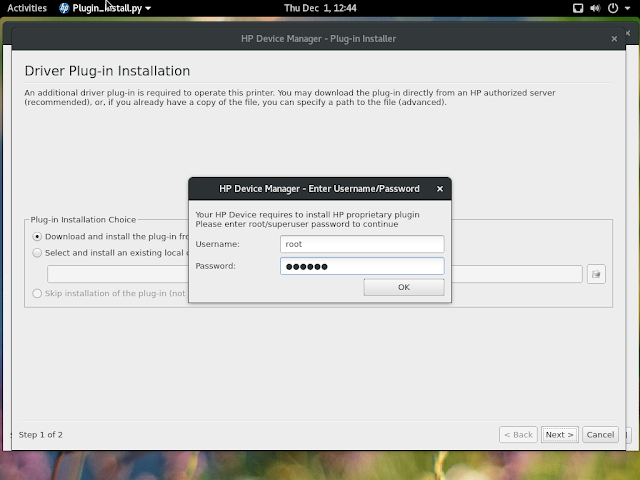 The installer will ask you to start the configuration mode in Graphical mode or Interactive mode . You can select any one of them but for this tutorial we will go with GUI mode. 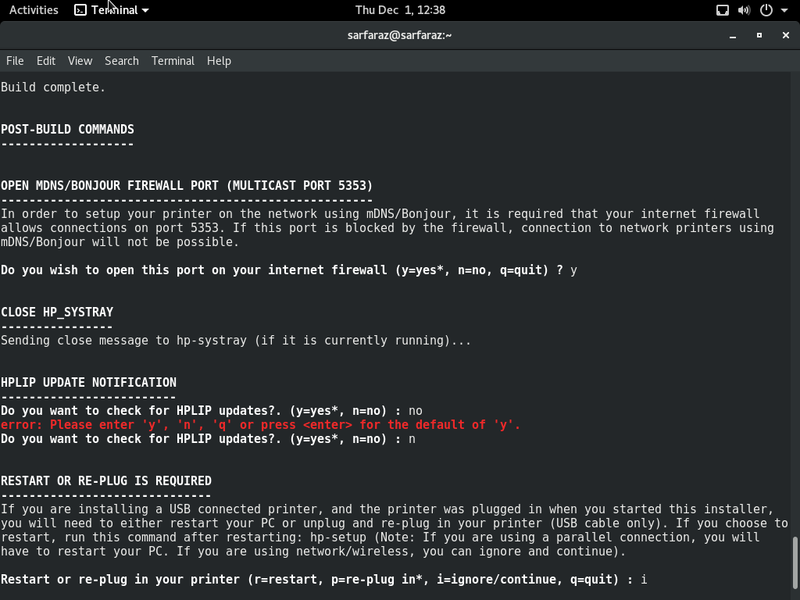 It will automatically detect your printer in the network. 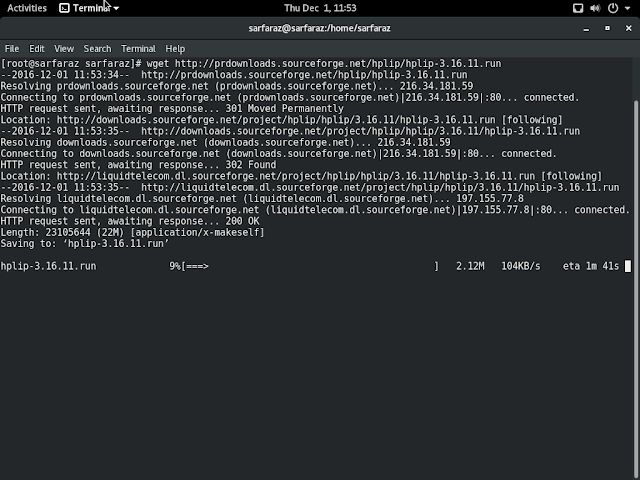 It will download the driver. Accept the licence agreement and enter the "root" credentials to install it. 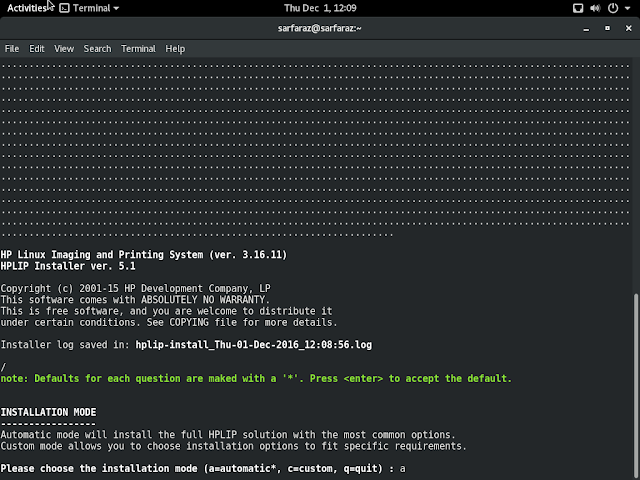 After the plugin is installed you will be asked the credential of root to add the printer in you system. 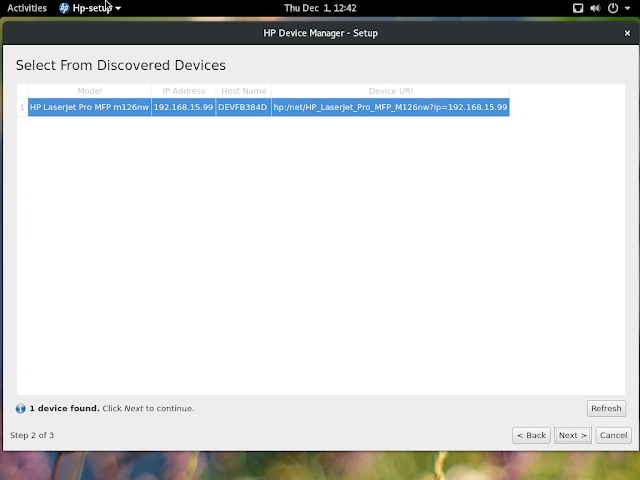 Now open the HP device manager from GNOME Menu for other utilities like scan. Please do Likes, Comment and Share.